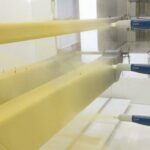 The costs of powder coating are relatively affordable and manageable. 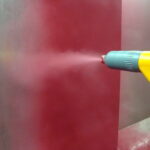 Powder coating via the Electro coat process is one of the most affordable coating applications. Electro coats in themselves are known to be the most inexpensive of applications, whether they employ the use of powder coat or liquids, they still remain economical. Part complexity: there are all shapes and sizes of different parts of a vehicle or any of the other products you wish to coat. If the parts are more complex and the size of the area is quite too high, you may use an increase amount of energy (electrical, mechanical or manual-the former being the most common) to coat your surface. The more energy used, the more expensive the process. Energy & Effort: there is no coating operation that doesn’t require energy. The powder coating requires daily rack cleaning together with a dry off oven for after treatment. For maintaining air quality thus guaranteeing consistency in paint application, the powder coating applications need an environmental room. Together with all these, there may be need for re-circulating pumps, a rectifier and a chiller all of which need energy which obviously comes at a cost. Mechanical equipment: there is always some mechanical equipment that is needed when you are working on the powder coats. This equipment obviously comes at a cost. In addition, they may need some repairs. 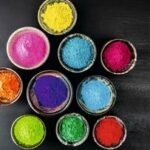 All these are factors you have to consider when looking in to the cost and price of powder coating. The requirement of labor for maintaining the powder application is however relatively always quite low. Capital: the powder coating applications may in most cases require a higher capital. After capital investments, the costs that proceed thereafter always do vary. Some of the variables in this area include the transfer efficiency, the labor requirements together with the thickness of the film required. The paint material is relatively the cheapest in the process of powder coating from the initial investment till the implementation. The high transfer efficiency of about 95-98% together with the self limiting ability when electro coating method is used makes the process to be very cheap indeed.